View More In Questions & Answers. Would you rather walk on hot coals or swim in the Arctic Ocean? Learn to fly a helicopter or learn to perform open-heart surgery? Be frozen and then thawed out in the future at the age you are now or live forever? Welcome to the book of choices, where every answer brings you one step closer to discovering your hidden self. Want to find out your ideal career? The country that best suits your idea of the good life? The species of your inner animal? Through in-depth exploration and analysis of the inner workings of your mind, we'll peel you back layer by layer and you won't even realize it. Psychologist, comedian, and youth motivational speaker Dr. Matt Bellace dissects your answers and reveals things you didn't even know we were assessing in this hysterically fun quiz book. 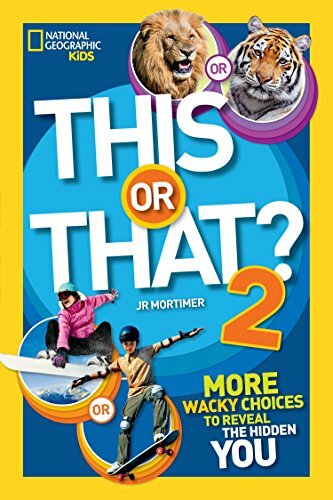 Each vividly colored page is so exciting, fun, and revealing that you will want to share with your parents, friends, and yes, even your brother and sister. So stop wasting your time trying to discover the true you--let us do it for you! If you have any questions about this product by National Geographic Society, contact us by completing and submitting the form below. If you are looking for a specif part number, please include it with your message.